If you missed my last recap post, please take a peek. I gave some basic organization/background info for our homeschool routine. Hope you are having a great homeschool week! But if you aren’t, be encouraged that the school year isn’t made of all terrific or terrible weeks. It’s a mix 🙂 . Handwriting/Copywork: Our little guy is loving handwriting this year! The frequent drawings with each lesson are a major hit with him. It’s like a little reward for him! Spelling: Another great week with BJU Spelling Distance Learning! The lessons are very predictable and follow the same pattern each week. He LOVES that! And so far, my simplistic organization for the course is working out well. I have gone crazy in years past with organizing all the distance learning materials. This year, I decided to just keep my materials as they arrived and take what I need each day. It takes all of 30 seconds to get what I need and give it to my son. (I made a quick video showing what I’m doing for this year.) Next year, I hope to start having him take ownership for needed class materials. I think the BJU Distance Learning courses would be great to hand over to him to do that. So far, my son is really enjoying his independence with this course. Once I start it, he does what the instructor says and comes finds me when he’s done. In the first couple weeks, he seems to be wrapping up just as I am finishing my daughter’s “preschool” activities. He likes to join in and “teach” his sister for me. Can I tell you how thankful I am to witness these moments!? Math: Singapore Math is working for us because of the scheduled activities in the Bigger Hearts guide. After a couple weeks of lessons, I’m convinced it would not work for us otherwise. I’m hoping the HIG is as helpful next year, because after 2A/2B, HOD doesn’t provide teaching activities. History: The double readings are a bit much. If you missed it, I planned to double on HOD scheduled readings to allow us to do Master Books My Story 1 social studies program. I cannot tell you how much I LOVE Master Books! It is so homeschool-friendly, like the early years of HOD. I see us transitioning over to MB more over the years. I did a quick walk-through of how I plan to use My Story with HOD. Since My Story is extra, for now, I’m not trying to follow the provided schedule. This week, we started our timeline notebook. 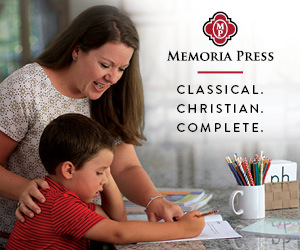 Music/Art/Poetry: The Memoria Press Music Enrichment is just delightful! Loving it! My son is really engaged in learning musical terms and gentle analysis. The lessons are about two paragraphs and listening pieces are 5-10 minutes. It is just enough! Poetry isn’t going so well so I plan to switch it up a bit. Stay tuned.